A classic actor in every sense of the word and one of the silver screen's finest. 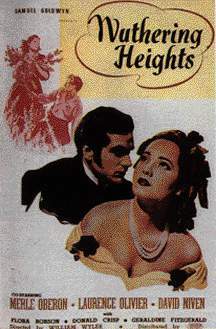 A poster from William Wyler's WUTHERING HEIGHTS (1939) in which Olivier played Heathcliff, a role for which he received his first Best Actor Academy Award nomination. He would go on to receive nine such Oscar nominations in the course of his career. "Why did God give me life? What is it but hunger and pain?" 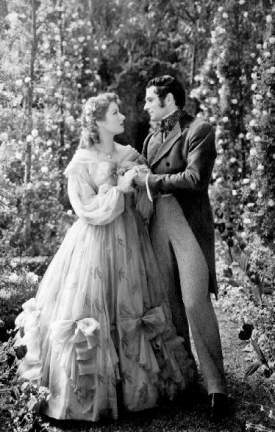 --as Heathcliff in WUTHERING HEIGHTS (1939). "Cathy's Theme" (clip) from WUTHERING HEIGHTS (1939) by Alfred Newman (a .MP3 file). 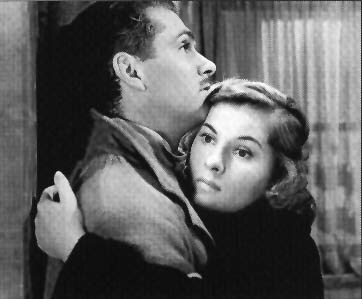 With Joan Fontaine in Alfred Hitchcock's 1940 adaptation of Daphne Du Maurier's classic novel, REBECCA. Olivier's performance as Maxim de Winter, a man tortured by the memories of his dead wife as he tries to begin life anew, earned him another Best Actor nomination. Incidentally, the film itself was nominated for eleven Academy Awards and took the prize for Best Picture of the year. "Suite" (clip) from REBECCA (1940) by Franz Waxman (a .MP3 file). 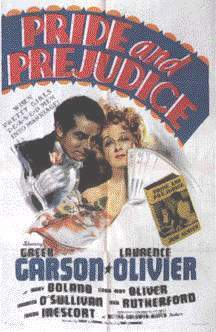 A still and poster with Greer Garson in PRIDE AND PREJUDICE (1940). 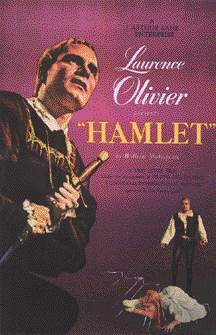 Olivier actually made many Shakespeare movies throughout his career and they could be his best-known work. 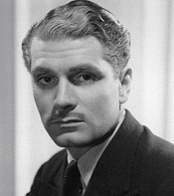 In fact, just a few years earlier in 1944, Olivier produced, directed, edited, starred in, and was even given writing credit for HENRY V. In recognition of his outstanding achievement in bringing this film to the screen, the Academy awarded Olivier an honorary Oscar statuette in 1947.